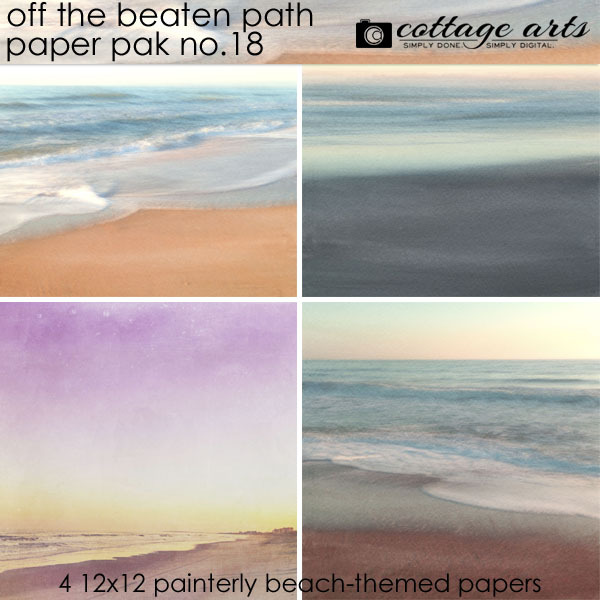 Celebrating the beauty around us, Michelle's Off the Beaten Path Paper series showcases her unique nature imagery incorporating digital and hand-painting techniques. 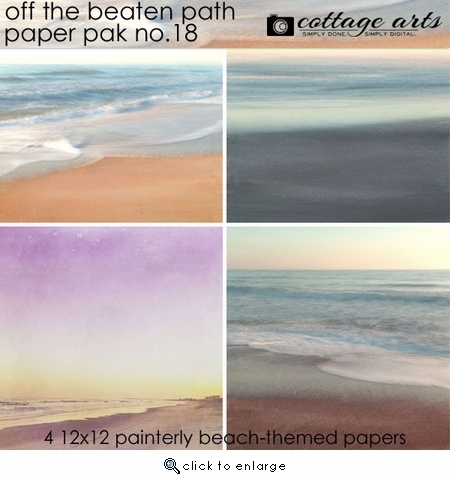 This set consists of 4 - 12x12 softly textured beach-side scenic landscapes. 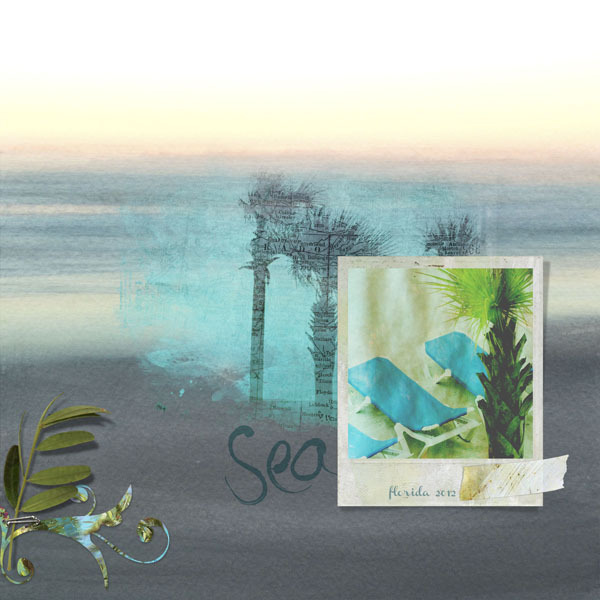 Perfect for the very popular perspective pages, travel and vacation scrapbooking, digital collage art, or for your everyday moments scrapbooking /hybrid art. Includes links to Michelle's Perspective Layout Design tutorials.